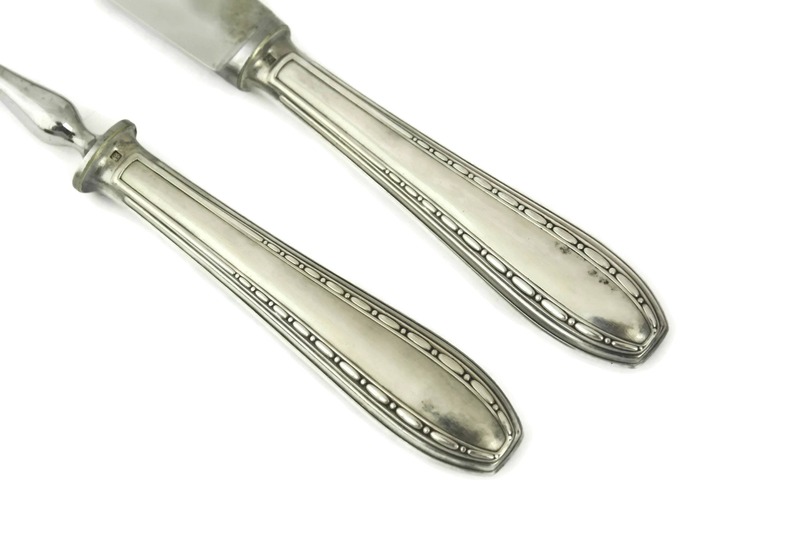 Vintage Ercuis Silver Carving Set with Knife, Fork and Roast Clamp. 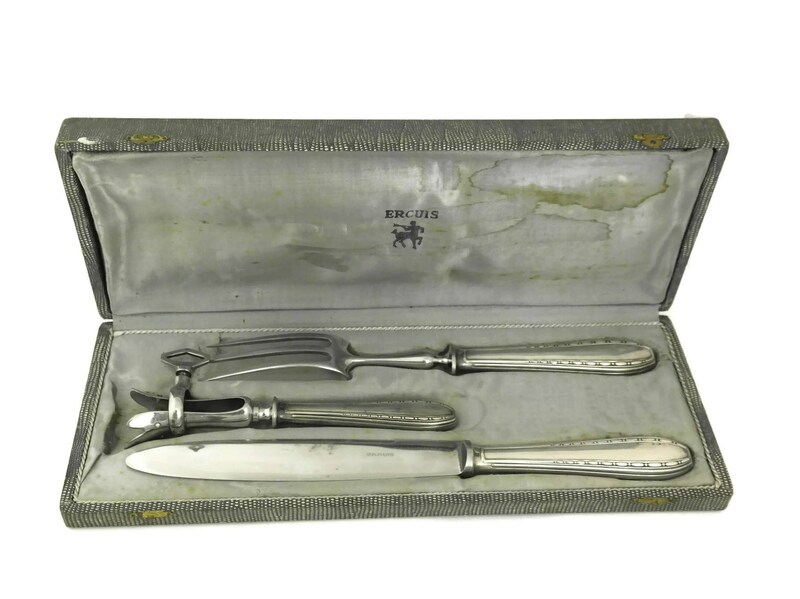 An elegant French carving set manufactured by the famous Ercuis silver company in the 1930s. 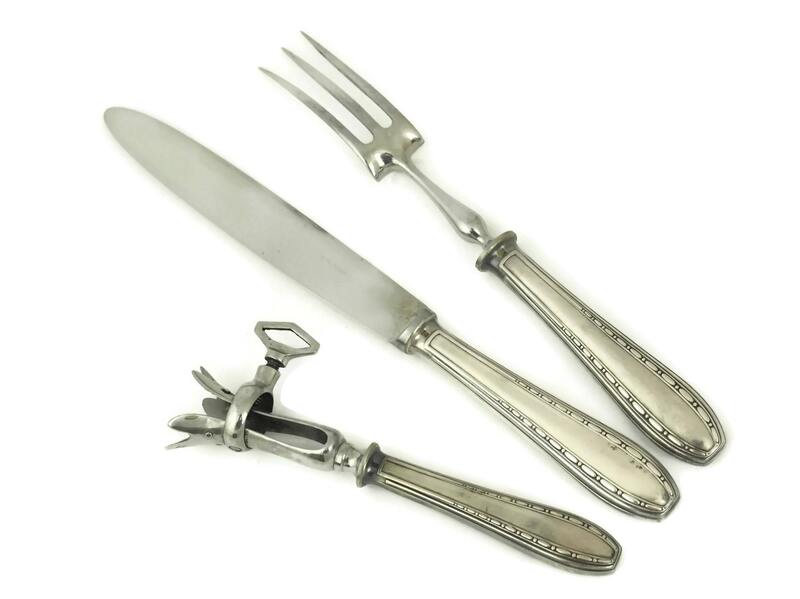 The 3-piece boxed set includes a carving knife, large fork and roast meat clamp. 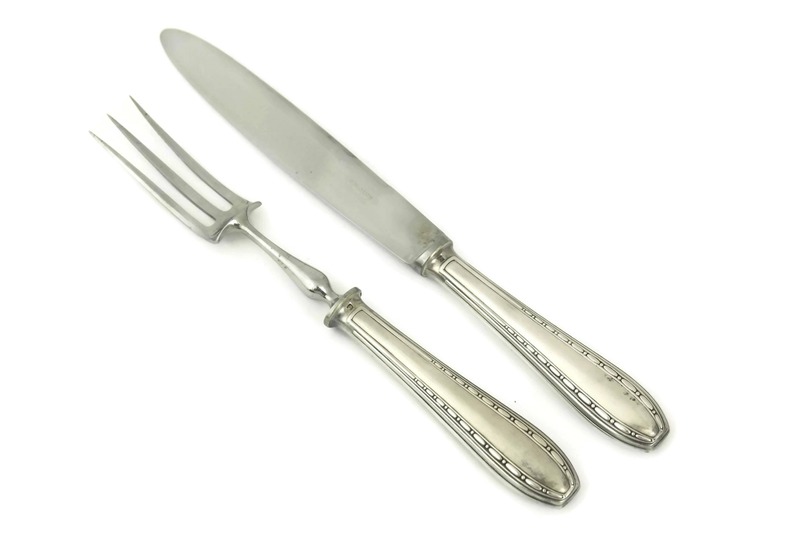 The set features silver plated handles with stylish Art Deco patterns. 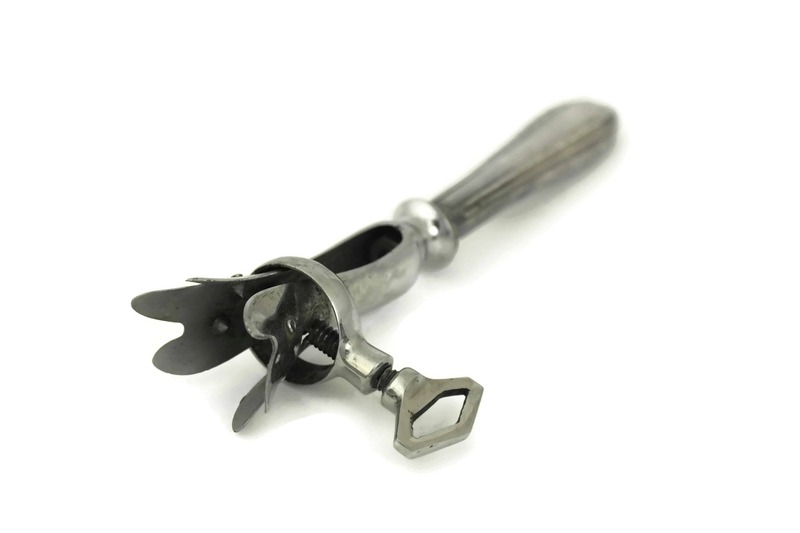 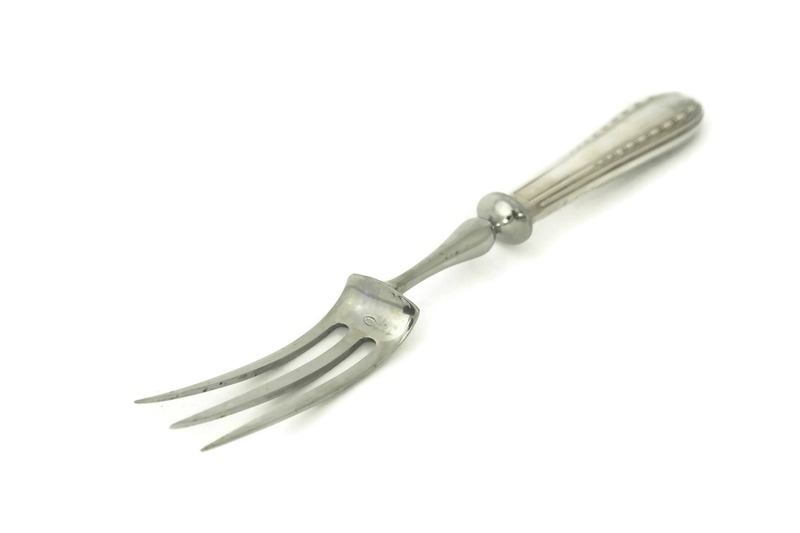 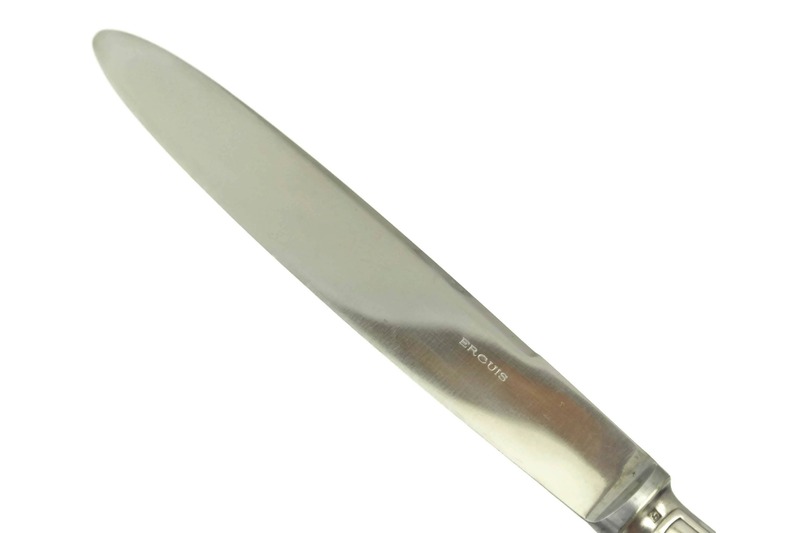 The knife blade and fork tines have been manufactured from stainless steel. 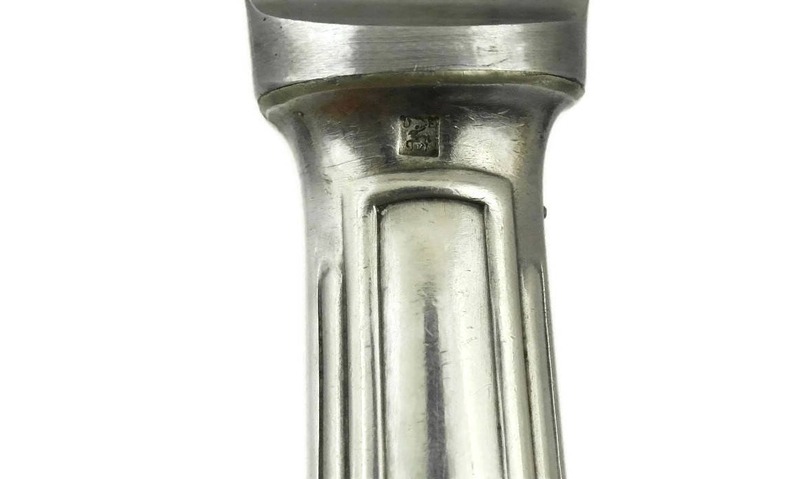 Each handle has been stamped with the Ercuis centaur hallmark. 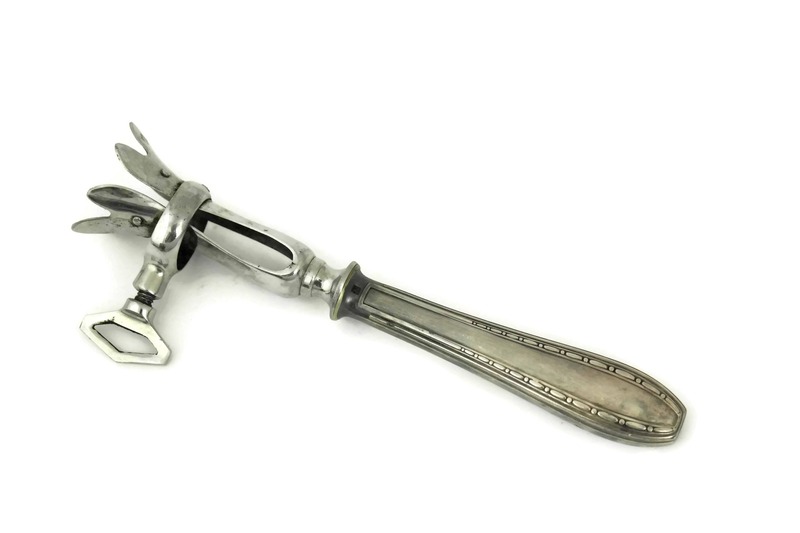 The silver carving set is in very good condition with light signs of use. 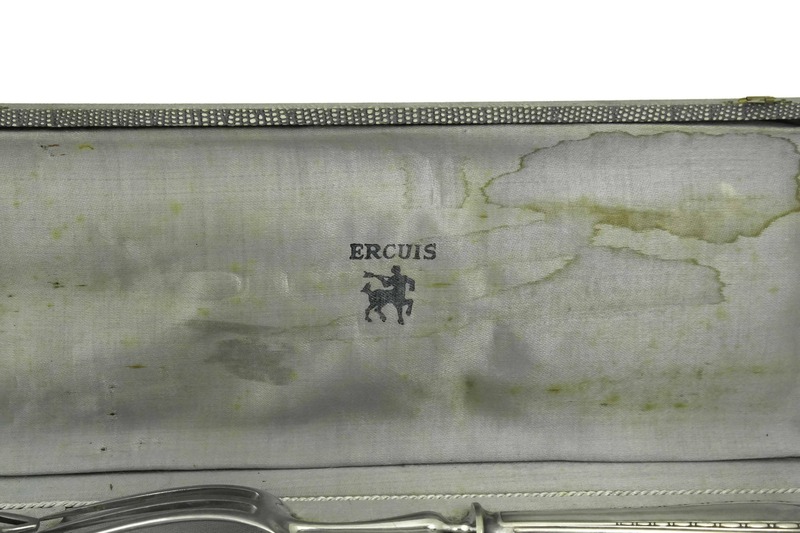 There are stains and wear to the interior of the presentation box.